A cake with citrus aromas and a fresh and delicate flavor, perfect for this season of the year. 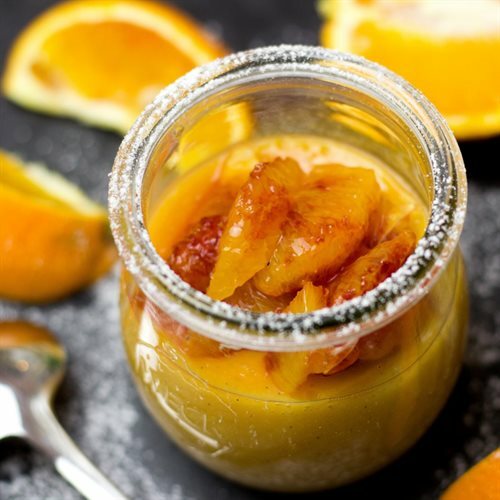 Place the milk, the sugar, the grated rind of an orange in a saucepan and let it infuse for about half an hour. Place on a low flame and bring it to a boil, stirring frequently. Squeeze the other two oranges and blend the juice together with the egg yolks, add in the boiling milk while continuing to mix. Cook until it thickens, being careful not to bring it to a boil.Add the vanilla extract and spread the mixture into 4 individual cups, place them on a baking sheet. Pour boiling water into the pan that almost reaches the edge of the “cocottine” and place in the oven, preheated to 180 degrees C, for about twenty minutes. Finally remove the “cocottine” from the oven and let it cool. 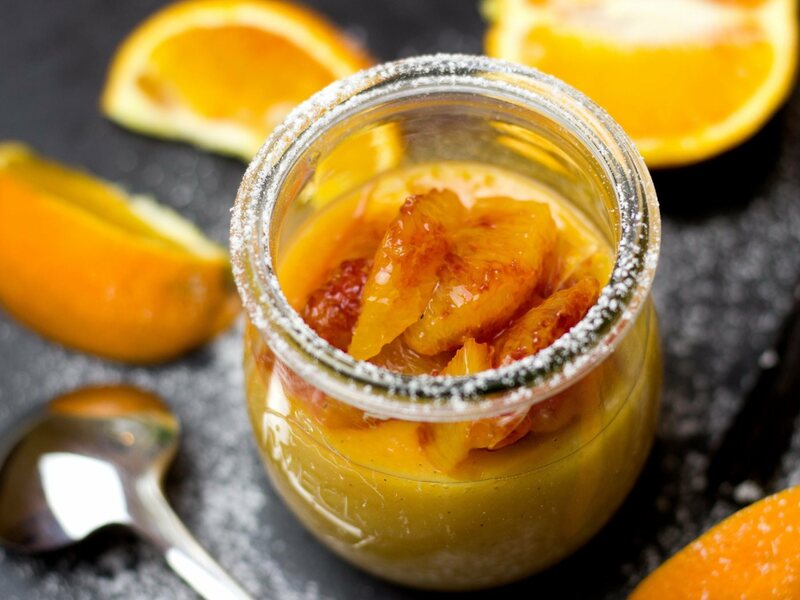 Serve warm or cold from the fridge, decorating them with candied orange peel or caramelized orange slices.